The ground crunches icily as I stomp my feet, and my hands ache when the warmth from the mug of hot chocolate restores some feeling. The greens and orangey reds of the landscape are just starting to show as the sun prepares to break the horizon. Looking up I see clouds as the sky starts to lighten. Apart from the chattering of teeth it is silent, the birds should be chirping but I think they probably froze to death in the trees last night. It is minus 2 degrees and I am so cold I could cry. Welcome to Oudtshoorn in winter. 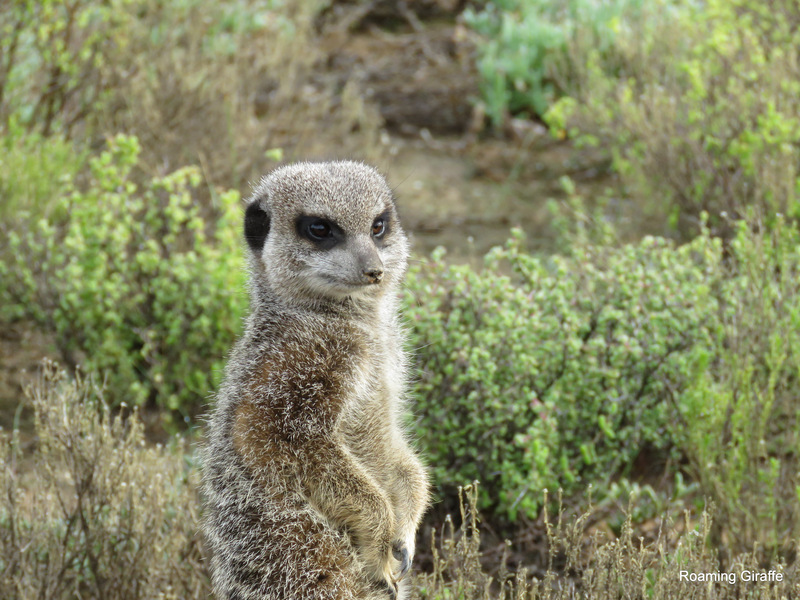 I am standing with our guides Dolf and Jaco, and seven other people in a clearing on the De Zeekoe Reserve, getting ready for our meerkat encounter. 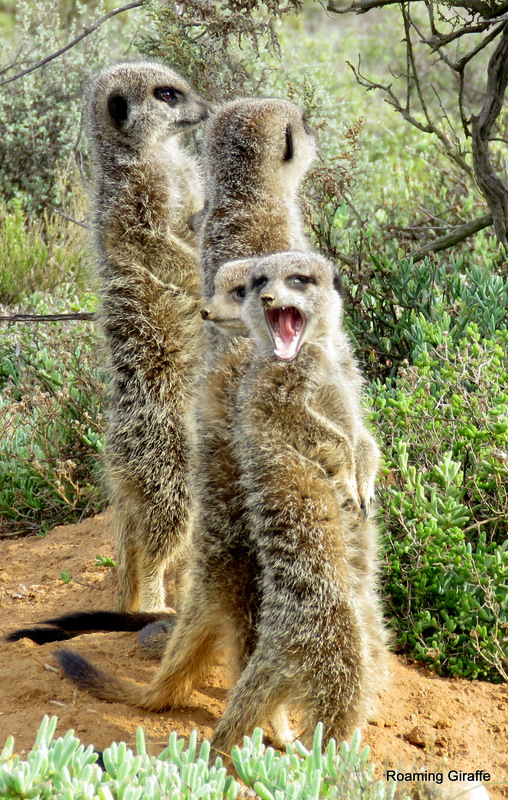 The briefing for the meerkat encounter is short and sweet. You may talk, you may take photos. You may not get out of your chair, or make any big movements. You will do exactly what the guide tells you to do, or you will be escorted away from the site.